Editing Configurations/Reward Levels/Perks gives you access to editing the Basic Info. 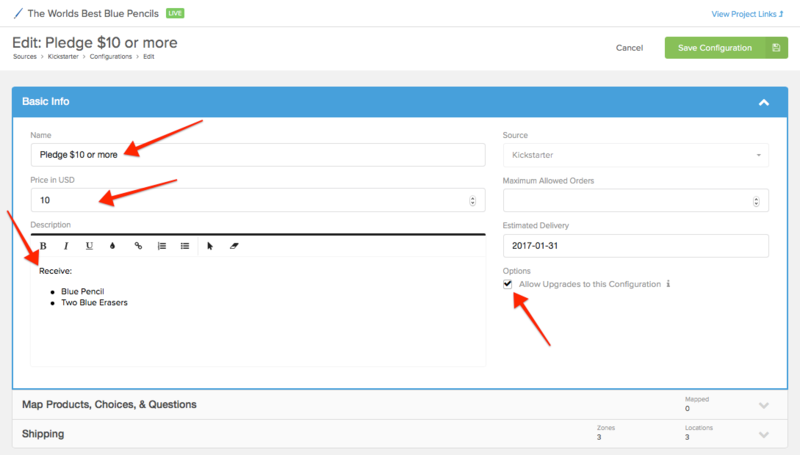 This is also where you will map products and questions to your reward levels, as well as, add/change shipping (if applicable). 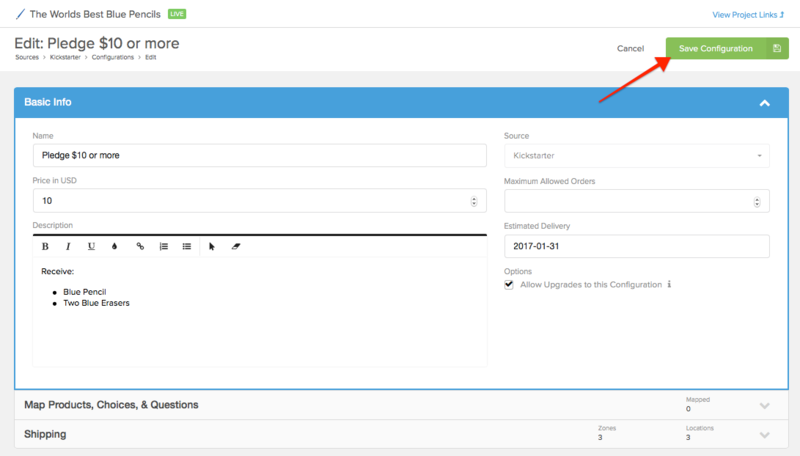 This will automatically display your Configurations (Crowd Ox), Reward Levels (Kickstarter), or Perks (Indiegogo). 2) Click on the reward level to edit. The edit icon will appear when your mouse is hovered in the reward level row. 3) Alter the basic info. Change the configuration name, price, and description. Uncheck the 'Allow Upgrades to this Configuration' box if you do not want backers to be able to upgrade to this reward level. 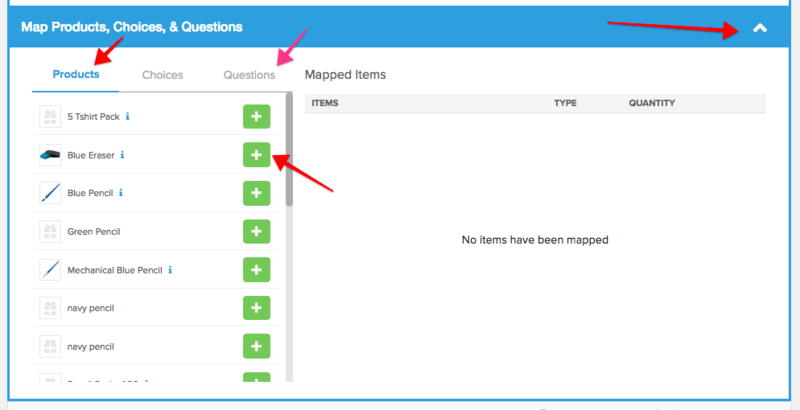 4) Map products, choices and questions. Expand the menu and add the products included in the configuration (click here for more info). Don't forget to add any created marketing questions (click here for more info). 5) Edit/Assign Shipping (if applicable). If you charged shipping during your campaign, the shipping details will automatically load into our system. You can disable imported shipping if you need to edit the configuration shipping. If you need to add shipping, follow the attached article for instruction on adding shipping. Expand the menu and change the drop-down to 'Specific Country' or 'Everywhere' and assign shipping rates (click here for more info). Found in top right corner.